Natural fat burners are extremely popular, as they offer a drug free alternative to weight loss. 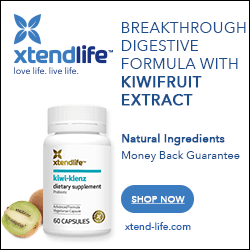 Many people who are hesitant to use prescription weight loss drugs like Xenical, Ionamin, and Phentermine are more than willing to experiment with natural fat burners. The exact definition of “natural” as it pertains to the formulation of various fat burners will differ from country to country. In general, if a compound exists in a natural state (i.e., it either is, or can be derived from a plant, natural food, etc.,) it is considered OK as an ingredient. There are exceptions to this rule. Ephedra, now illegal in many countries, can be derived naturally from Ma Huang, Country Mallow and other natural sources. There are a few natural ingredients that do have some level of scientific data validating their fat burning characteristics. Green tea, glucomannan, and CLA are good examples. Unfortunately, there are just as many whose fat burning powers have yet to be demonstrated conclusively in any widely-recognized clinical study. This leads me to the three major problems associated with natural fat burners. Since fat burner products are unregulated by governing bodies (like the F.D.A in the U.S. and Health Canada in Canada), supplement manufacturers do not have to back up their product’s claims with scientific data. This can lead to outrageous product claims (e.g..”Eat all you want and still lose weight”) that have absolutely no basis in fact. Add intense competition and a huge marketplace into the mix, and you have a slew of manufacturers battling to outdo each other. This often leads to an escalation of ridiculous product claims. There are few industries as happy to take your money and provide almost nothing in return as the supplement industry. Since quality control is also largely unregulated in this industry, many inferior products contain only the smallest percentage of the label claims. In other words, you may be paying for 400 mg of green tea extract per serving, but only getting 50 mg. This is a serious and common problem. If you’re interested in learning just how widespread this problem is, visit ConsumerLabs.com. These guys test products, using laboratory analysis to match label claims to each products real ingredients. It’s surprising how often a product will contain a mere fraction of the ingredient it is supposed to! Third, even for the compounds that do have some supporting clinical evidence, retailers rarely put the evidence into context. That’s because while the results might be measurable and statistically significant, overall they don’t make a heck of a lot of a difference. As an example, you might have heard that supplementing with an appropriately standardized green tea supplement can “boost the metabolism.” What retailers don’t tell you is that this 4% demonstrated increase in metabolism equates to less than a paltry 100 calories per day for most people. When you consider that a single pound of fat contains the equivalent of approximately 3500 calories, you suddenly realize; green tea may be helpful, but overall, it’s not going to make a huge difference. That’s not to say natural fat burners do not offer value. Many do. Some companies are ethical, and work to put together well thought-out formulas that work. Others sell only from the Net, radio or TV ads, and are interested in nothing more than divesting you from your money. Nonetheless, even the best natural fat burners will not provide much in the way of results without an accompanying exercise plan, and calorie-restricted diet. The key, of course, is to do your due diligence, and buy quality compilations from quality companies. If you’re new to natural fat burners, and are looking for unbiased, science-based reviews on hundreds of the top brands, you’ve come to the right place—to learn more about natural fat burners, use the list above, the navigation options just below, or the search function at the top right hand side of this page.